Portrait tattoos are one of the most popular design choices for tattoos. They’re versatile, they can be done in almost any style, and they can commemorate someone who’s played an important role in your life. We look at some of the most common reasons why people get portrait tattoos, and offer an essential tip when you’re looking for an artist to do your ink. 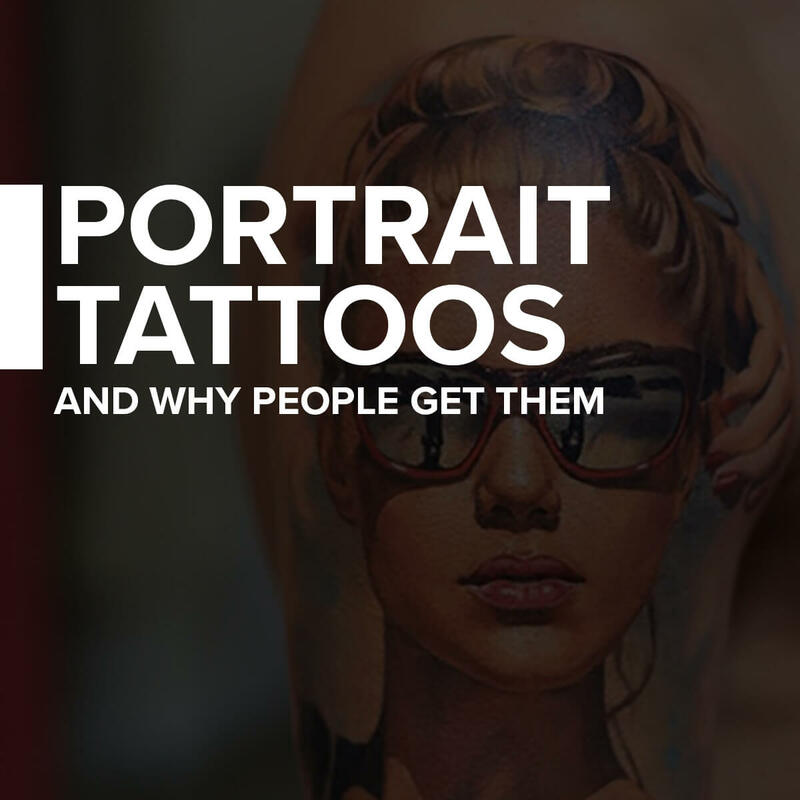 Read on to find out more about portrait tattoos, and why people get them. There are many ways to memorialize a loved one, even when it comes to tattoos. A small symbol can be so meaningful, but a common choice for these kinds of tattoos tend be in the form of portraits. You can remember the person the way you want to, especially if you use a specific photo for inspiration, which is suggested by many tattoo professionals. Choose a photo that you want to imitate in a tattoo, and take it to your desired artist. Having a photo for the artist to go by is the best way to ensure that your portrait tattoo will capture every detail and nuance of that person, without leaving anything out. Portrait tattoos of this nature are often done in a realistic style , because it’s a style that does the person and their unique features true justice; you can have their face with you at all times, looking exactly as you remember them. Portrait tattoos of one’s kid(s) are common choice for honoring a special person in one’s life. Having children is a major, life changing event, and wanting to ink your little one’s face onto your body is a great way to have them with you all the time. This is especially true in situations where one parent is away a lot for work, and a photo just won’t cut it. Getting a realistic portrait of your child is the best to immortalize their faces while they’re still young – they grow up fast so having that snapshot of them as a youngster becomes very meaningful as they get older. It also shows them just how much they mean to you. Celebrities play an important role in pop culture, and some people have one famous person who really resonates with them. Celebrity portraits are a popular motif for tattoos, especially those who have become an icon of sorts. Marilyn Monroe and other classic Hollywood beauties are most commonly seen in portrait tattoos, but modern celebs are catching up as well. Easily recognizable faces are the best choice if you want to be sure that people know who your ink is supposed to be, and this is also why you want to be sure you’re choosing an artist who’s good a portrait work. Fandom is a powerful force, as die hard fans will tell you. People who have a particularly strong love for a book, movie, or video game characters will often show this affection in the form of portrait tattoos. Some of the more popular choices for character portraits include Star Wars, Harry Potter, The Walking Dead, Nintendo – and those are just a few of the many options out there. Cartoon characters are especially popular for portrait tattoos, likely because of the style flexibility that these characters allow for. Portrait tattoos of cartoon characters a done largely using New School elements, because of the colors and depth that are keystones of this style. Character portrait tattoos have more freedom for creativity in the design, more so than a portrait of real person. If you look all the way back to ancient art, faces and busts are everywhere. The human face is a complex thing of beauty if an artist can master it, and this idea has crossed over to tattoos as they’ve grown in popularity. These tattoos are usually of no particular person, they’re just a figure that’s created realistically and artfully to make a stellar tattoo design. Women’s faces are used in portrait tattoos more than men, but it depends on the context and theme of the tattoo as to what kind of person is used in the design. These faces are sometimes created using a combination of a real life inspiration, a celebrity’s specific features, or just the artist drawing up a face at random. Honoring one’s pets through portrait tattoos is a popular design choice for a lot of pet parents, both in memoriam and as a way to show the world how much you love your furry friend. Pet portraits can be done in practically any tattoo style, but the most popular style choices tend to be realistic and illustrative, or a mix of both. It largely depends on the artist you choose and what their personal style is, but as long as you have a photo of your pet to bring to them, they can capture the finer details of your pet for the tattoo. This one tip can make or break your portrait tattoo, so we can’t stress enough how important it is to heed our advice here. 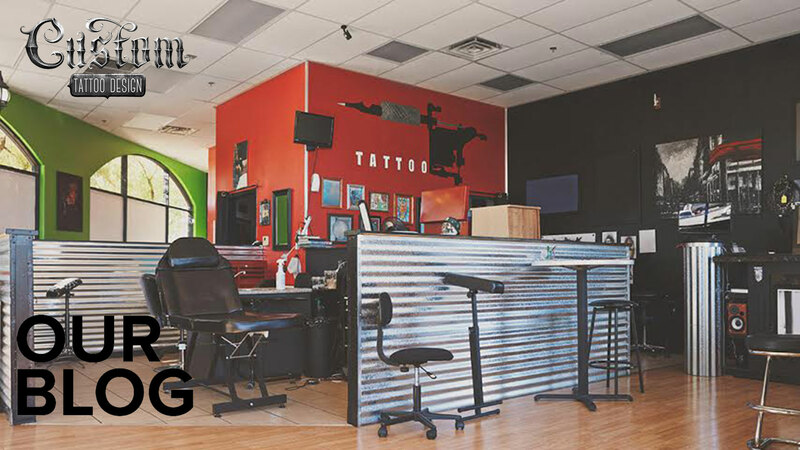 Any tattoo artist will tell you the same – it’s essential that you find an artist who specializes in portraits to ink your tattoo. Faces and portraits are a very hard subject in art, and not every artist can do it well. Even if an artist claims that they can do portraits, make sure that checks out. Look at portfolios for work and examples of skillfully done portraits before you book any sessions with a tattoo artist. This is especially true if you have a sketch already done up by another artist or source, you need to be sure that the person you’re going to for the tattoo will do that drawing justice. Taking the extra time to search out the right artist will be worth it in the end, and can mean the difference between have an amazing work of art, or a poorly executed portrait that barely resembles your chosen picture, probably with chiclet teeth to boot. Due diligence pays off big time here, so do not skip this research step! Why did you get your portrait tattoo? Let us know in the comments!